The work of the Lord is unmistakable. The land, sky and sea proclaim his person and his power - and then it gets personal. God meets us right where we are and takes us to the places he wants us to be. He lifts "the needy out of their affliction." He brings spiritual blessings. 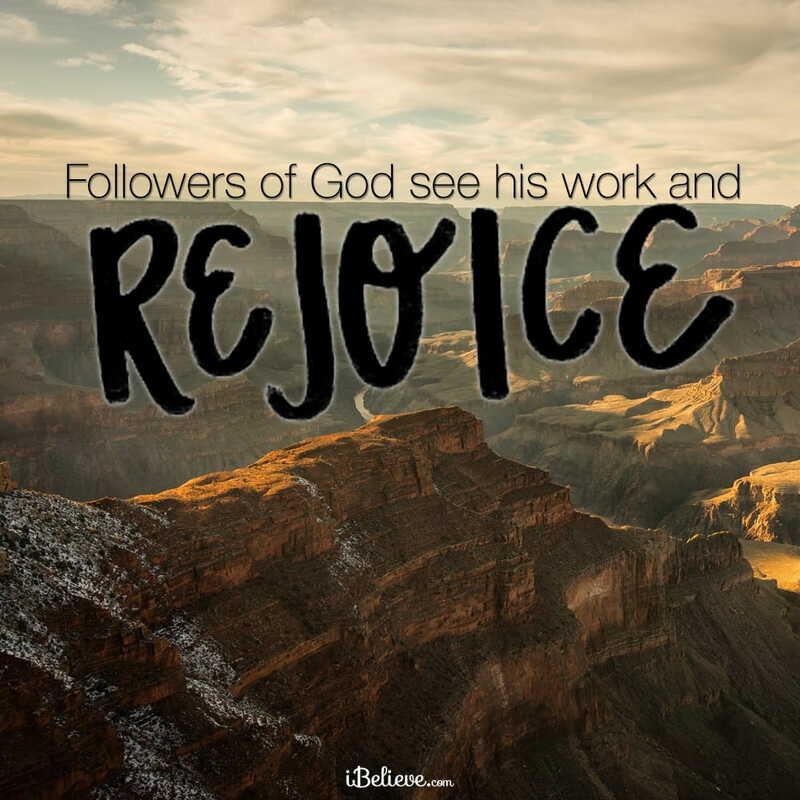 Followers of God see his work and rejoice. They exalt the omniscient God for his intimate knowledge. They praise the eternal God for his intervention in time. They sing to the all-powerful God for his deliverance. They contemplate the depths of God's love. Those who don't follow God are confused. They are book smart, but lack wisdom. They have no mental compartment for the supernatural. They have no place in their hearts for the divine. When the wicked see the works of God, they can only stand in silence. Father, thank you for intervening in my life and allowing me to have a personal relationship with you. Thank you for your love for me today and forever. Thank you for the blessings you’ve given me and my family. Help us use those blessings to bless others. May I live a life of true joy as I see you at work around me today! In Jesus' name. Amen. Editor’s Note: The following is an abridged version of See and Rejoice from The Daily Journey with Ron Moore. You can read his original devotional by clicking here.